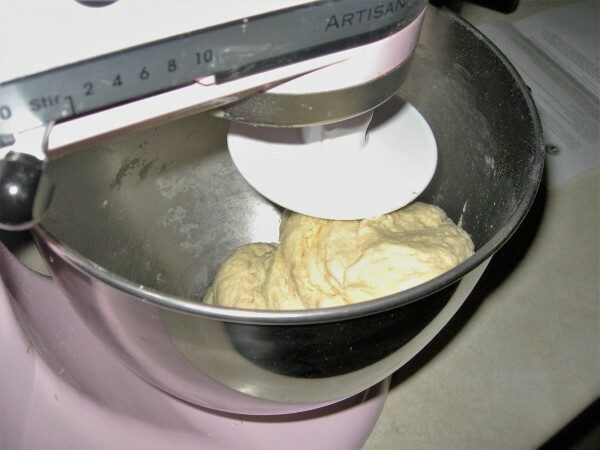 This is my go-to recipe when I want to make my own bread. It’s easy and fuss-free and can accommodate a seemingly infinite number of flavor combinations. Now I remember how obsessed I was with croque madame sandwiches a couple of years back. There are worse things to be fixated upon for sure! You can really use this bread for anything, and it’s really amazing as soon as it comes out of the oven. I can’t tell you how much of this stuff I would just stand at the counter and tear off the loaf. 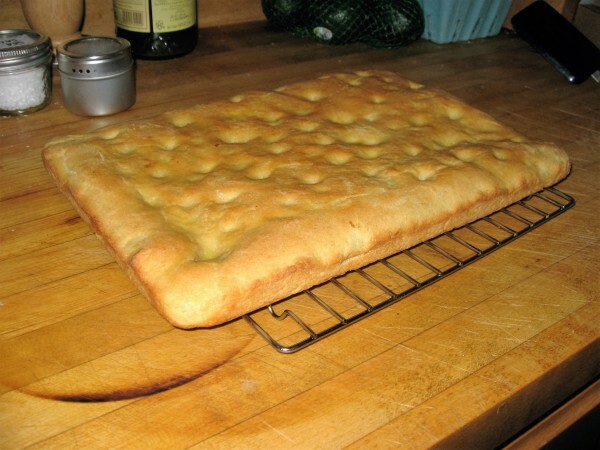 The semolina flour really adds richness and texture, and the fact that there’s a decent amount of oil makes each bite silky and smooth. 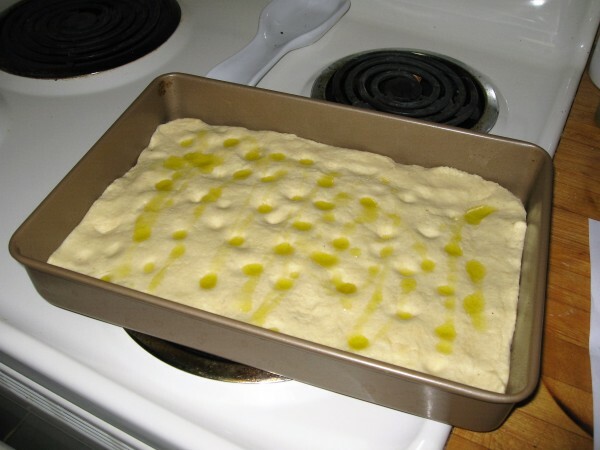 I had some extra semolina flour around, so I figured I’d whip up a focaccia, especially since I was looking for a light (i.e. not terribly dense) and somewhat oily loaf of bread to use for brunch one day. 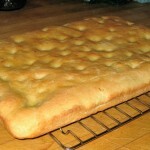 Some breads are tough to make and require a lot of work, focaccia is not that kind of bread. 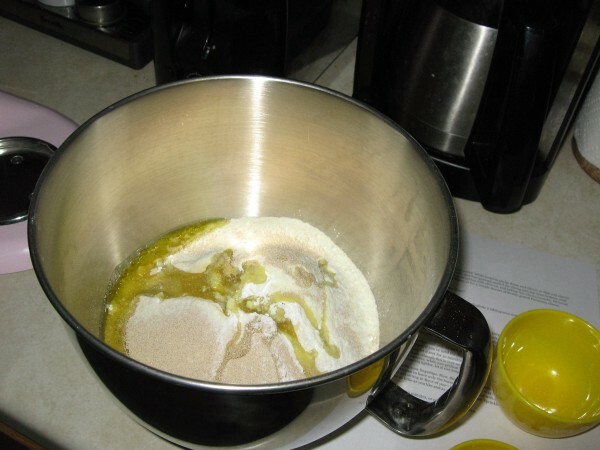 Combine all ingredients in mixer bowl. Reserve 1 TBSP of Olive Oil. 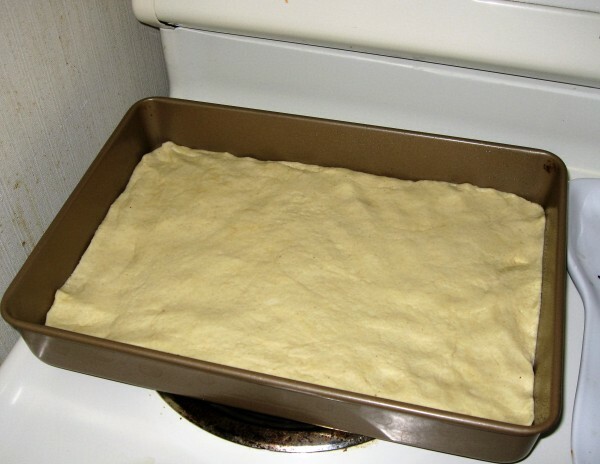 Bake 25 minutes. If the top isn't golden brown, give it a few more minutes, no more than 8. I’d let it sit for a few minutes before you start eating it, but do whatever you want. It’s kind of difficult to resist.